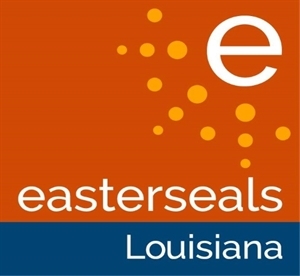 Easterseals Louisiana, established in 1951, is a non-profit organization whose mission is to assist children and adults with physical and intellectual disabilities achieve independence. It is our vision to be recognized as an organization that transforms communities and engages all members through quality service, knowledge and compassion. Easterseals Louisiana strives to ensure the highest-quality services for children and adults with disabilities or special needs. Designed to meet each participant's individual needs, teams of therapists, teachers, and other health professionals work together to help each person overcome obstacles so they may achieve personal independence and reach their own goals. Easterseals also includes families as active members of any therapy program, and offers support to families in need. Easterseals Louisiana currently offers the following services: Support Coordination for Children, Adults, and Seniors, Mental Health Services, Camping & Recreation, Transitional Housing, and Military Family Respite Care. We are Easterseals Louisiana, and we are taking on disability.